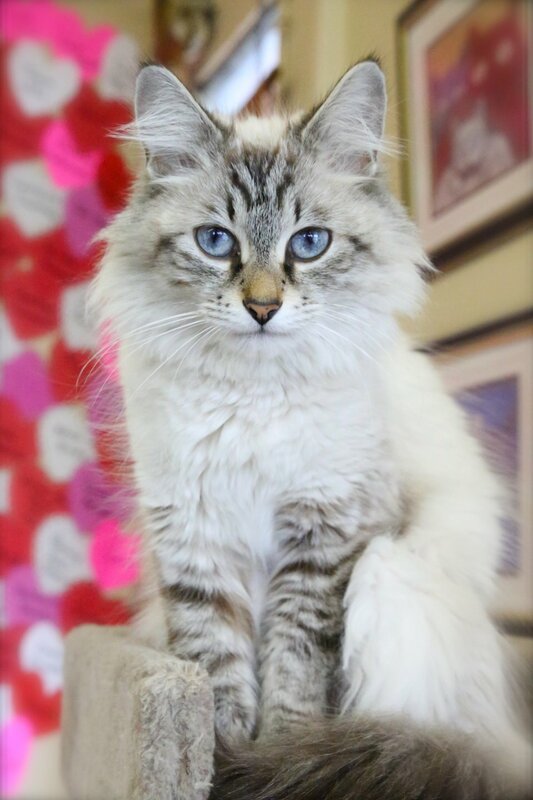 Lync is a 1-year-old lynx point who came to us from the “Paws in Need” shelter in Thompson, MB. Lync is a very small cat but she is feisty! Lync is quite dominant and prefers to call the shots around other cats; so if she is adopted into a home with other cats, they should be confident and docile (no alpha cats, please!). Lync is recommended to go to a home without small children and is now at our adoption centre at 38 Barberry Road in Windsor Park where she would love to meet you.